Beginning Microsoft Access mastery. Design Access databases from scratch. For Access 2010, Access 2013, and Access 2016. 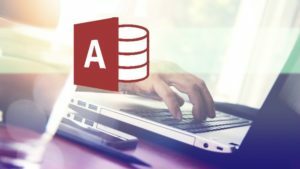 At the end of this course, you will be able to create a simple DATABASE in Access from scratch. You will know how to create and modify TABLES in Access. You will know how to create FORMS for enter data into your tables. You will know how to create QUERIES to ask questions of your Access database. You will know how to create REPORTS for sharing and presenting your data in a clear, professional way. You just need to have a PC, basic computer skills and an installed copy of Microsoft Access on your computer. You don’t need any previous experience with MS Access or Excel. This course starts at the very beginning. Welcome to the Access 2016 course. overwhelmed by the thought of it? Are you ready to learn a ton of practical, hands on Access skills? If so, you found the right course! This course is designed to get you feeling comfortable and confident using Access. It’s designed to get you started with the skills you need to organize your data in tables, mine your data using queries, and create clean, professional reports to impress your boss. Will this course be a good fit for you? Well, I designed this course for the beginner who needs to add this course to their list of important job skills. This course is also a good fit for you if you have a little bit of experience with access already, and you’re ready to fine tune and expand your skills in an easy, stress-free way. While its ultimately up to you, my goal is to give you the skills to impress your boss and hopefully get that raise, promotion, or new job that you deserve. We’ll start out with a complete tour of Access and it’s tools. Then, I’ll show you how to open an Access Database and how to use pre-formatted Access templates provided by Microsoft so you can start right away. I’ll walk you through creating a complete Access database from scratch. I’ll show you how to create tables and connect those tables to each other using relationships. I’ll show you how to mine your data using queries, how to create forms so users can enter data into your database, and how to create custom reports so you can impress your boss. I’ll also share insights and productivity tips along the way. Are you ready to take your productivity and hopefully even your job prospects to the next level? Let’s get started with Access 2016. Click on the Buy Now button or watch one of the Free Preview Lectures and start learning Access today. This course is for students brand new to Access. This course is also for students who have some experience with Access or Excel and need to learn more about Access.